The Meghalaya government is making a move to integrate traditional healing by using medicinal herbs with Ayurveda, Yoga and Naturopathy, Unani, Siddha and Homoeopathy (AYUSH). After a meeting with some of the traditional practitioners, Health Minister AL Hek said the government wanted to promote traditional practitioners in the state by engaging them in a more organized way so that the traditional knowledge linked to healing of ailments can be promoted by integrating with scientific methods. “The practice of healing by using medicinal plants by traditional practitioners has existed since time immemorial. But as it is today, this is being done individually and in an unorganized way in the state,” Hek said. Hek stressed that traditional knowledge cane be promoted by integrating with scientific methods through the department of AYUSH so that the system become sustainable for the traditional practitioners. Stating that only genuine traditional practitioners would be considered by the government, Hek informed that the department of AYUSH has been organizing awareness campaign on the need to integrate the traditional knowledge of healing sicknesses by using medicinal herbs with scientific knowledge. Hek said that this would also promote health tourism. The Health Minister also informed that exhibition of indigenous medicinal herbs, workshops and seminars on the importance of promoting the traditional methods of curing ailments by using medicinal plants would be organized by involving AYUSH doctors and experts. Meghalaya has many renowned names like late John Kharduit who had preserved and promoted indigenous herbal medicines for curing various ailments. 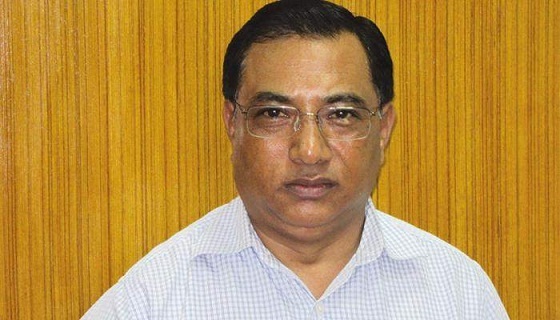 An official in the health department said that the ministry of AYUSH has sanctioned each district in Meghalaya around Rs 10 lakh for creating awareness on the need to promote traditional practice of healing ailments. The state should submit reports to the ministry after one year. Meanwhile. the traditional healers expressed concern over the acute shortage of medicinal herbs and urged the government to take steps to conserve various medicinal plants which were abundantly available in the past. “Now we are not getting medicinal herbs easily due to destruction of the environment especially indiscriminate burning of forest,” Thriking Shadap, a traditional healer from Ri-Bhoi district who used to cure snake bites and other sicknesses by using medicinal herbs said. Shadap stressed the need to plant more medicinal herbs and preserve them, while asking the state government to take action against people indulge in torching bushes and forest area. Pristina Bamon, another traditional practitioner from Umkiang in Jaiñtia Hills cited a number of serious cases in which patients who turned to traditional healers got their ailments cured.